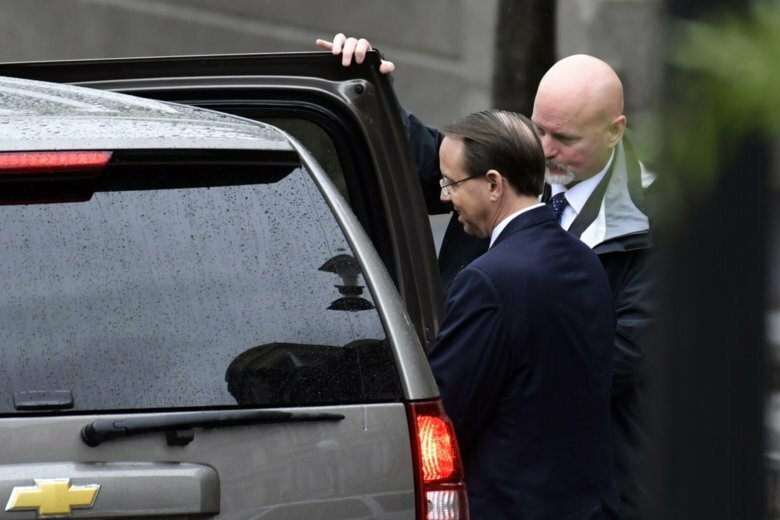 Rosenstein’s fate as deputy attorney general remains in the air after reports last week that he floated the idea of recording President Donald Trump. Rosenstein went to the White House on Monday expecting to be fired, but the president gave him a three-day reprieve, and the two are set to have a face-to-face showdown on Thursday. Rosenstein is Mueller’s boss. Attorney General Jeff Sessions has recused himself from the Russia probe, to Trump’s great frustration, and left the duties of overseeing the investigation to Rosenstein. After Trump fired FBI Director James Comey, Rosenstein appointed Mueller as special counsel to take over the investigation. Rosenstein is acting in Sessions’ place to oversee the probe and has the power to fire Mueller — for cause — under Justice Department guidelines.